Nails Inc Self Made Mermaid nail polish set that I’m showing you today is one of the 4 Nails Inc limited edition sets released last year. With so much going on in 2018 it took me a while to try these beauties. However, during the holidays I made a conscious effort to try as many untrieds from my collection as I could. In fact, this is my agenda for 2019 – to try all lacquers that I purchased during 2017 – 2018. Which is part of my main goal – to reduce my human imprint and become a better Global citizen (I’ll explain more about it in one of the upcoming posts). So starting this week I’ll be showing you my favourite lacquers from the untrieds stash. There are quite a few gems hiding and I can’t wait to show you all of them! Ocean Ever After – a vibrant ocean green metallic nail polish with gold shimmer. 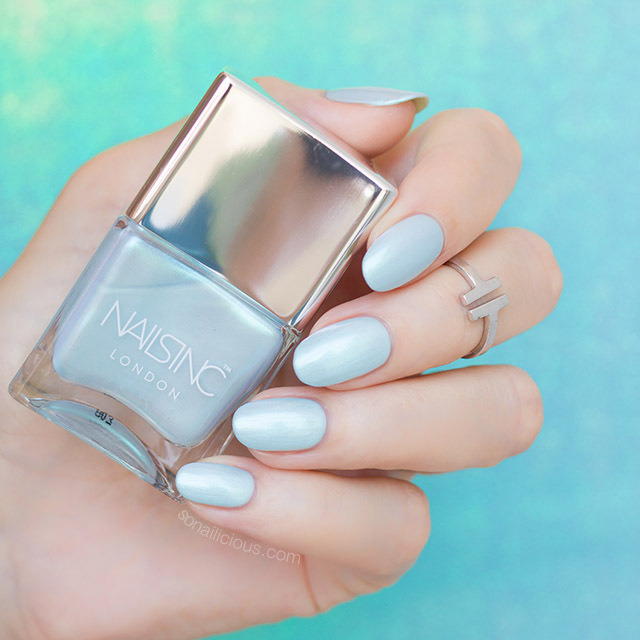 Mermaid Parade – a soft iridescent mint polish. These two colours are perfect for any season! I can totally envision the cool mint Mermaid Parade worn during the snowy white winter and maybe even paired with white snowflakes. While the darker green Ocean Ever After would look stunning on a beach vacation paired with gold shells. Now, to find out all about this duo’s performance read the review below! 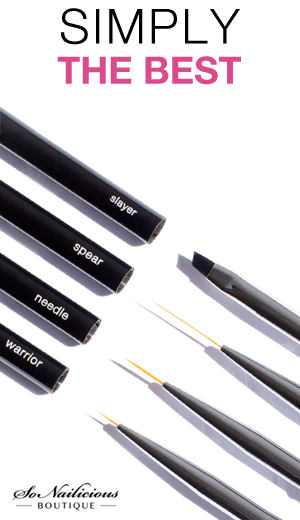 Formula: both lacquers have a great formula – glossy, long-lasting, 6-free and cruelty free. 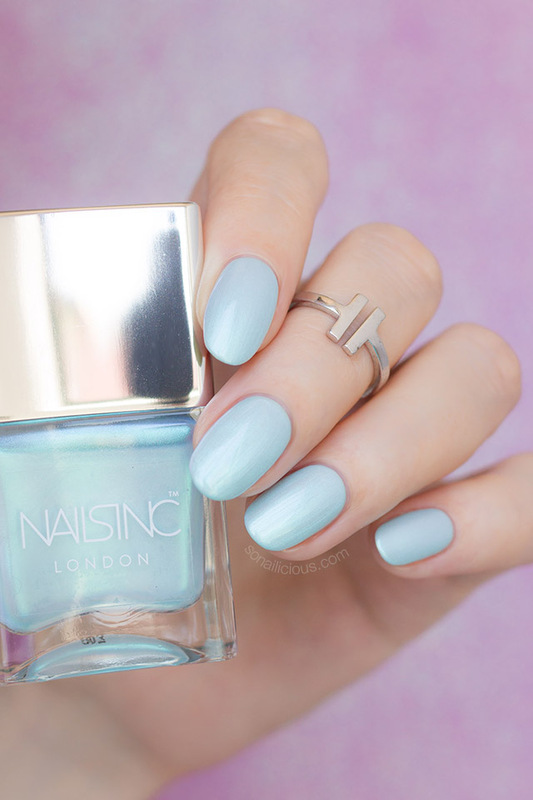 The dark ocean green – Ocean Ever After is very pigmented. You can easily get away with 2 thin coats. However, the light Mermaid Parade is semi-sheer and requires 3-4 coats to get it fully opaque. Application: It’s relatively easy to apply, the formulation is great. 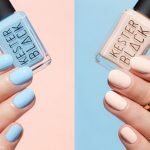 Both polishes yield in a perfectly smooth coverage – zero annoying streaks (that most of pearlesent and duochrome polishes tend to produce). Great brush, as well, which makes application very easy. 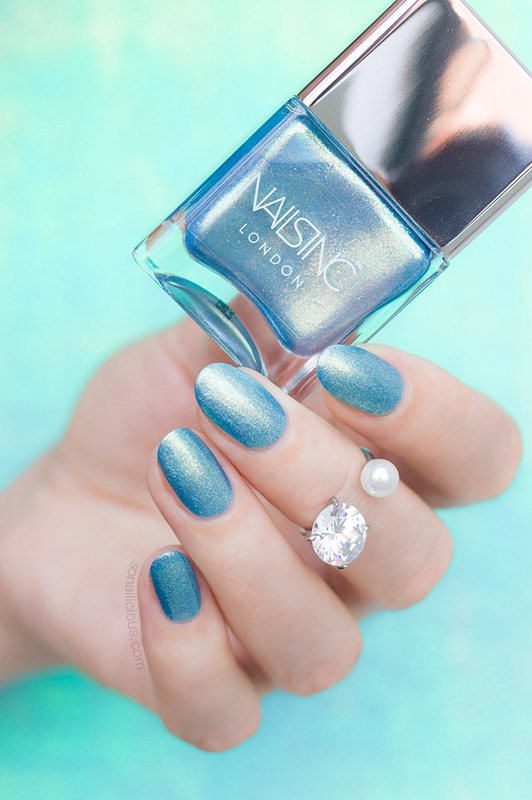 Ocean Ever After – a vibrant ocean green metallic nail polish with 3D pigment and gold shimmer. 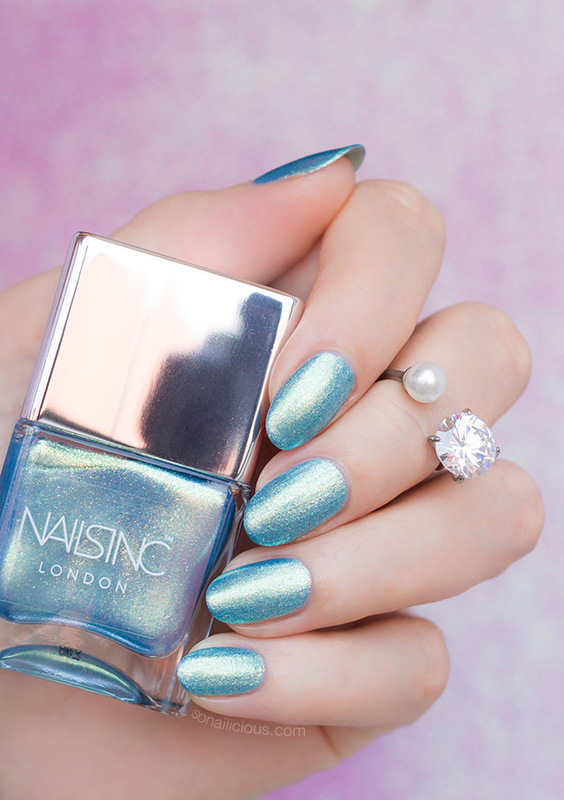 Mermaid Parade – a glossy iridescent mint polish with a shift from lavender to turquoise. 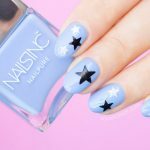 Nail Art: You can easily use these lacquers for nail art, but personally I prefer wearing them alone – the colours are so beautiful that I want all the attention to be focused on them. Wearability: Very long-lasting, both colours lasted 7 days without any chipping. Extra Notes: The semi-sheer Mermaid Parade looks best when layered over a creme polish of similar shade. Dupes: There are no dupes for Ocean Ever After or Mermaid Parade. 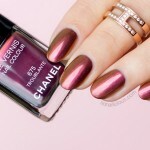 Overall Impression: stunning, unique colours that are fun and flattering. 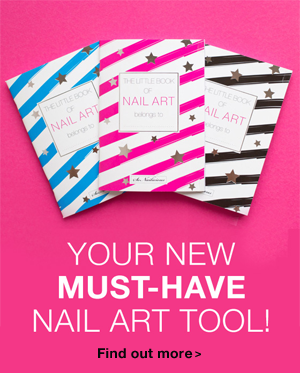 Impeccable formula and beautiful packaging, which makes this set a great gift. I also love how affordable it is. 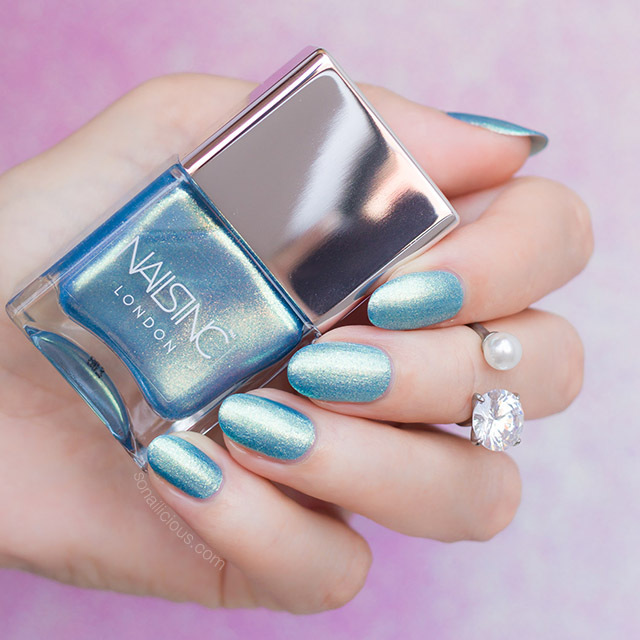 Nails Inc lacquers are quite pricey, however, in Nails Inc Self Made Mermaid set you’re getting 2 lacquers for the price of 1, which is fantastic! Where to buy: this set is limited edition and sold out everywhere. Only a few sets left here – USD $21 / AUD $30. 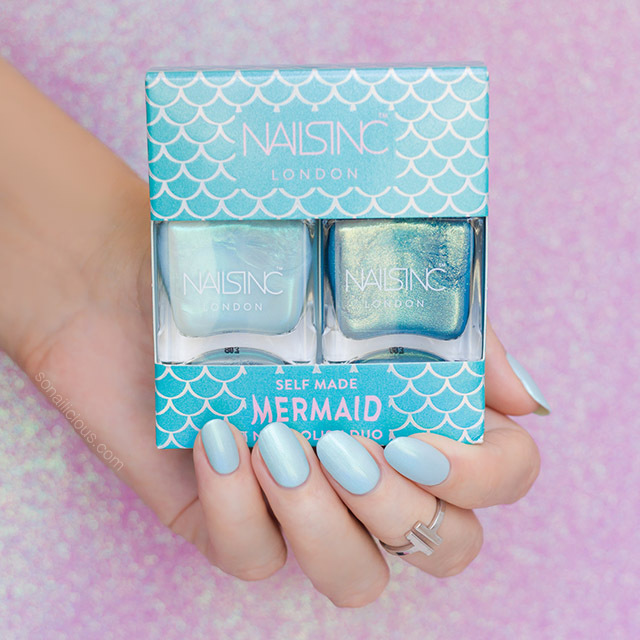 Do you own Nails Inc Self Made Mermaid nail polishes? 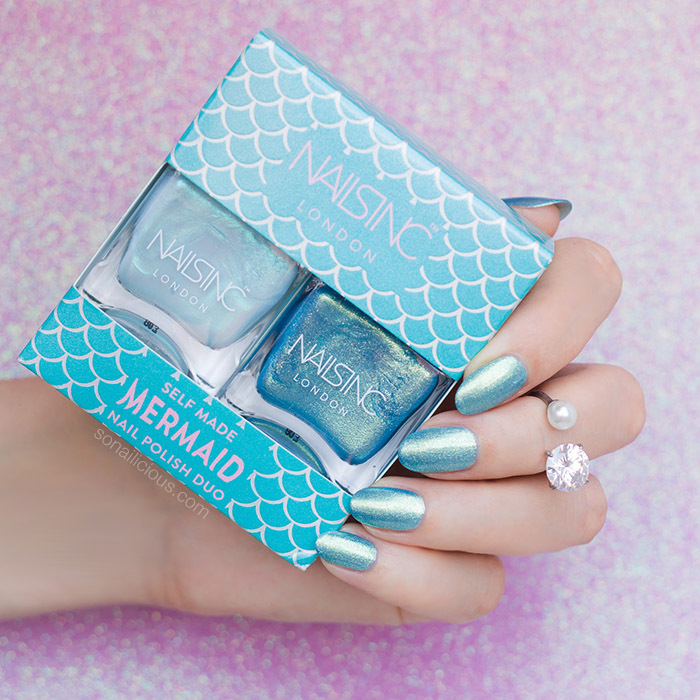 Which colour do you like more – Ocean Ever After or Mermaid Parade? Did you like this post? Let’s stay in touch! Subscribe to our Newsletter or follow us via Bloglovin for daily updates.